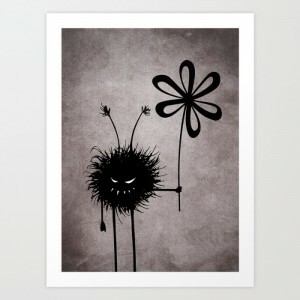 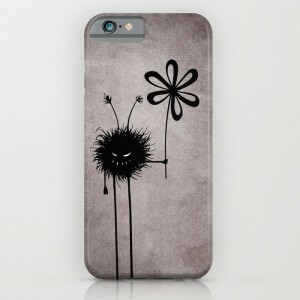 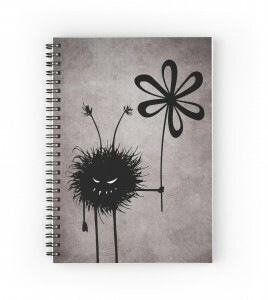 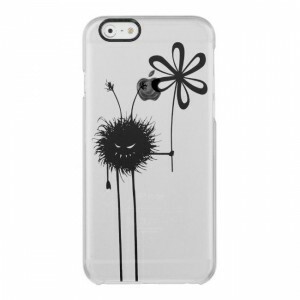 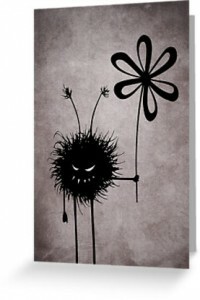 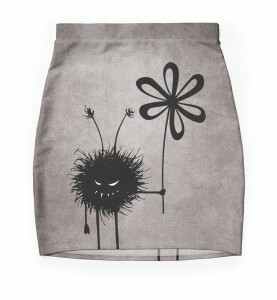 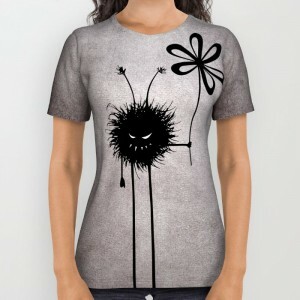 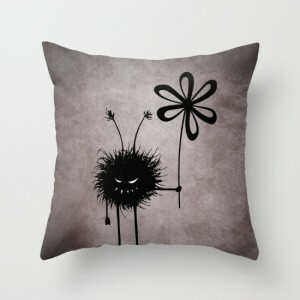 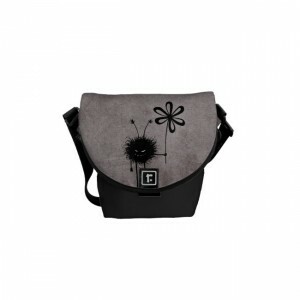 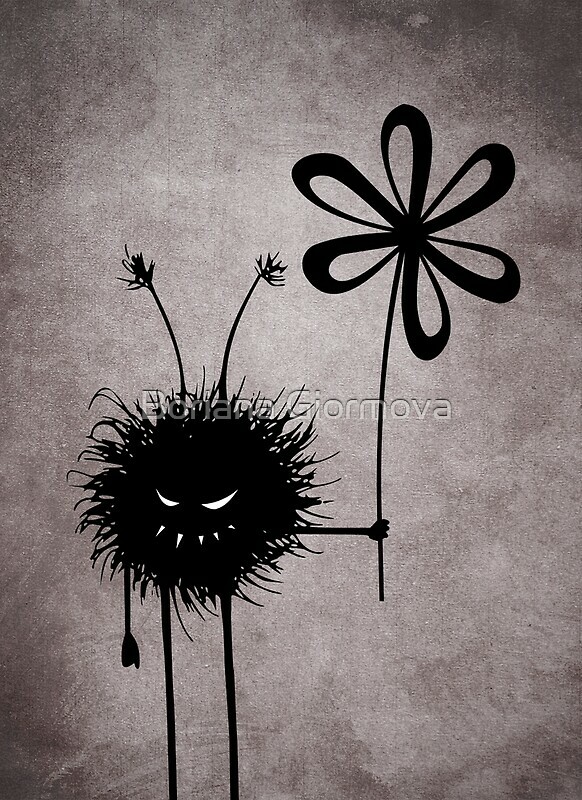 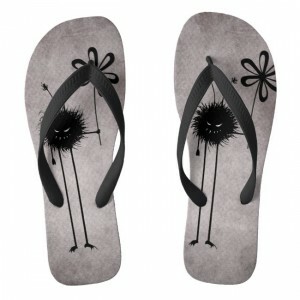 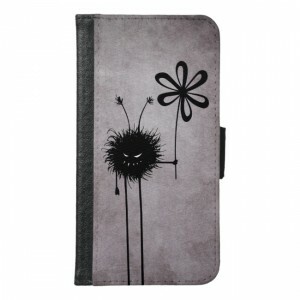 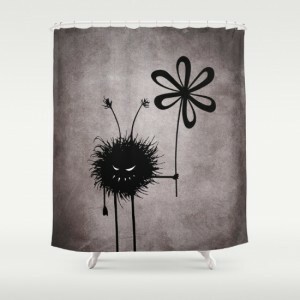 The Evil Flower Bug is the first and most popular member of its family. 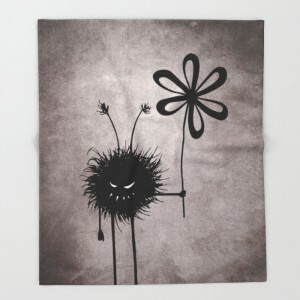 My Evil Bugs family consists of black hairy evil characters, most frequently seen grinning and hanging around doing nasty pranks. 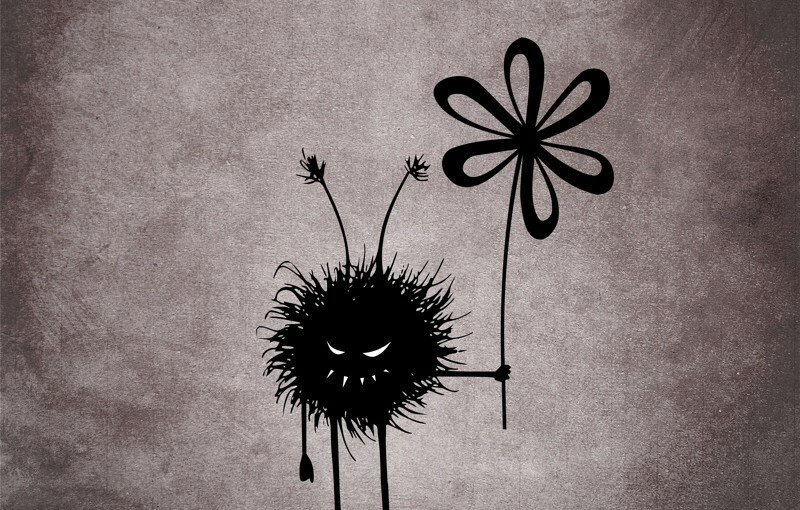 I’ve made the original illustration in ink a long time ago, later digitalized it and added the texture. 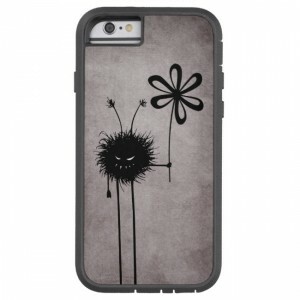 The bug has since turned out to be one of my most successful designs along with the skating giraffe. 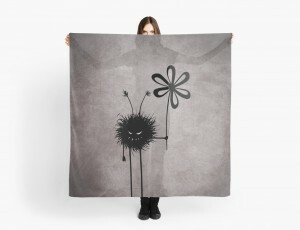 At Society6 it is most frequently bought as iPhone cases and shower curtains, as well as leggings. 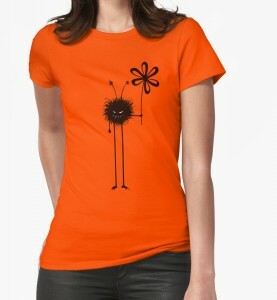 At Redbubble it was selling as T-Shirts, not anymore, I don’t know why. 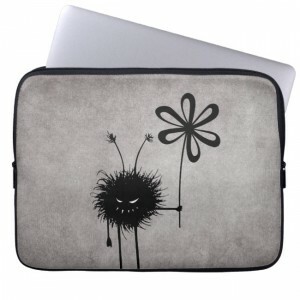 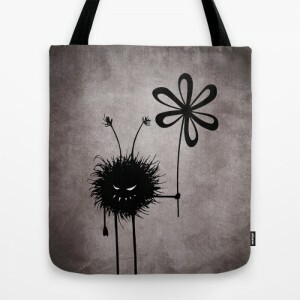 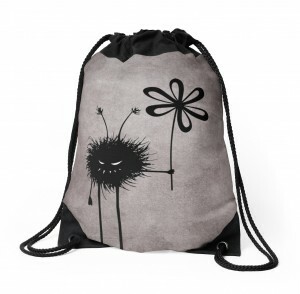 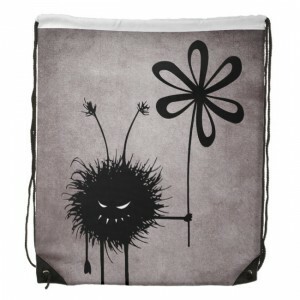 And at Zazzle it sells on all kinds of stuff – phone cases, tablet cases, bags, coasters and so on.